Eaglet “My Brother’s Keeper” flies free from the American Eagle Foundation Hack Tower on Douglas Lake in honor of Lance Corporal Jason Redifer (US Marine) who was killed in action in Babil Province, Iraq on January 31, 2015 at the age of 19. Dandridge, TN – On July 26th, the non-profit American Eagle Foundation (AEF) released its last juvenile Bald Eaglet of the summer into the wild in honor of Lance Corporal Jason Redifer (US Marine) who was killed in action in Babil Province, Iraq on January 31, 2015 at the age of 19. Redifer was in the 1st Battalion, 2nd Marine Regiment, 2nd Marine Division, II Marine Expeditionary Force, which is based at Camp Lejeune, North Carolina. His parents Scott and Rhonda Winfield of Stuarts Draft, Virginia attended the release of the eaglet, which they named My Brother’s Keeper in memory of their son. Also in attendance were Local Veterans from the TN Smoky Mountain Marine Corps League- Detachment 1206 (Terry Witt, Jim Buck, Jerry Coffey, Jerry Clevenger) who conducted a flag folding ceremony followed by the playing of Taps. This eaglet (Patagial Tag A18) was hatched from the nest of non-releasable breeding pair Freedom & Faithful Spirit at the AEF’s Headquarters as part of its Captive Breeding and Hacking program. 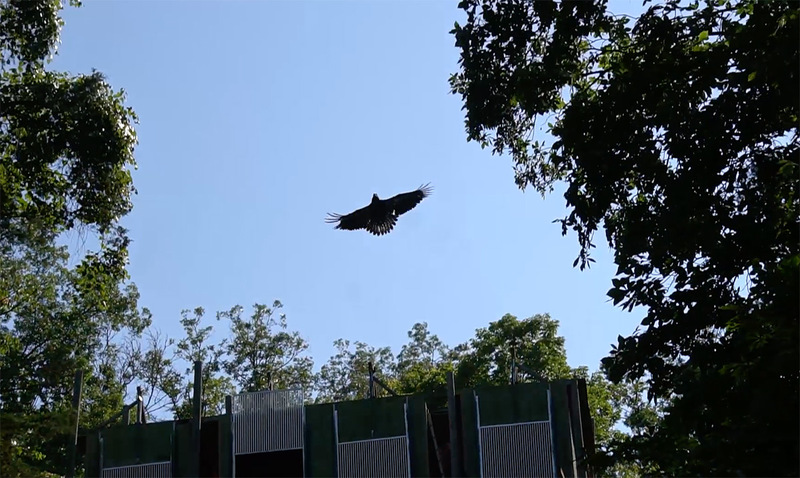 Typically, the AEF releases juvenile eaglets between the ages of 12-14 weeks (typical fledging age in the wild), but due to a injury to the left leg, this eaglet underwent 5 weeks of rehab before taking its first flight. Healthy and strong- “My Brother’s Keeper” finally took a strong first flight into the wild at 17 weeks old! This release concluded the 2018 hacking season for the AEF, which has now released a total of 167 baby Bald Eaglets into the wild on Douglas Lake- in addition to the hundreds of other eagle releases throughout Tennessee that the AEF has participated in. 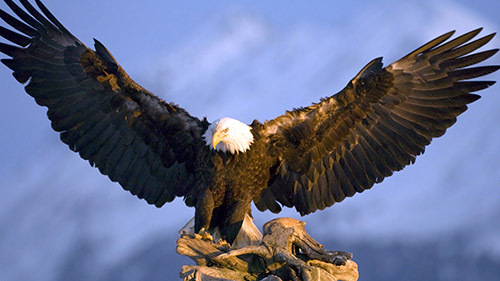 The American Eagle Foundation is a not-for-profit 501(c)(3) organization whose mission is to care for, restore and protect the USA’ s living symbol of freedom, the Bald Eagle, and other birds of prey. The AEF celebrates 33 years of carrying out its mission through Education, Repopulation , Conservation, & Rehabilitation. It is headquartered in the foothills of the Great Smoky Mountains at Dollywood theme park in Pigeon Forge, TN.